The sit fit cushion is a fantastic tool to strengthen the core. Just by sitting or standing on it, your core automatically turns on. It works at a very deep and supportive level. It’s also a great way to challenge balance. Both pelvic tilting and thoracic rotation are amazing warm up exercises that we use in our classes almost every day. These are simple-seeming exercises with profound results because they loosen the hips, move the spine and free the shoulders. Both exercises become more effective with the assistance of a sit fit cushion. Make sure to do them often. 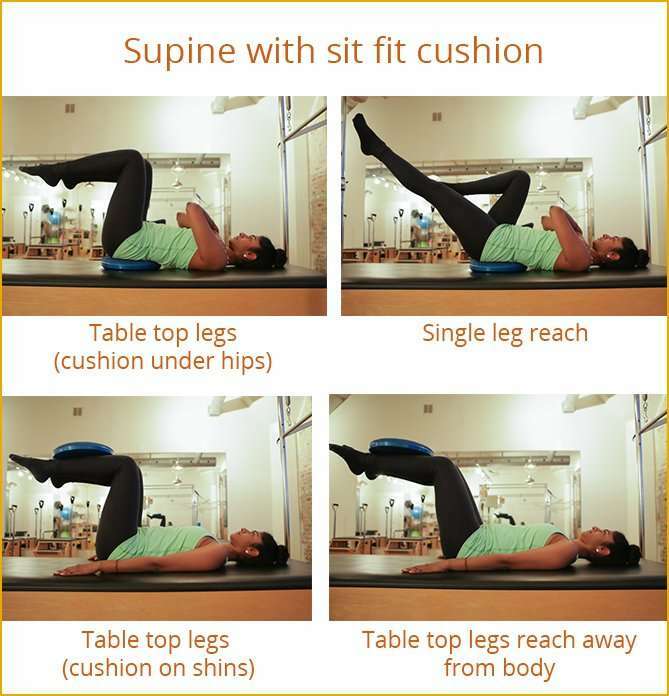 Below are some fun, simple exercises and variations using a sit fit cushion. Use them yourself and share them with friends, family and clients. Sometimes the the same exercise can feel different depending on where you place a prop. Make sure to try the table top legs with the sit fit under the pelvis and on top of the shins. Both are challenging and excellent exercises! Calf raises standing on the sit fit cushion are a great exercise to wake up the core and work the calves. They’re also a great way to mobilize the ankles. This is the perfect exercise for anyone who wears shoes. That means everyone! If balance is a challenge, you can hold onto something solid like a wall for support. You can also do this movement seated or laying on your back with your knees bent and feet on the cushion. 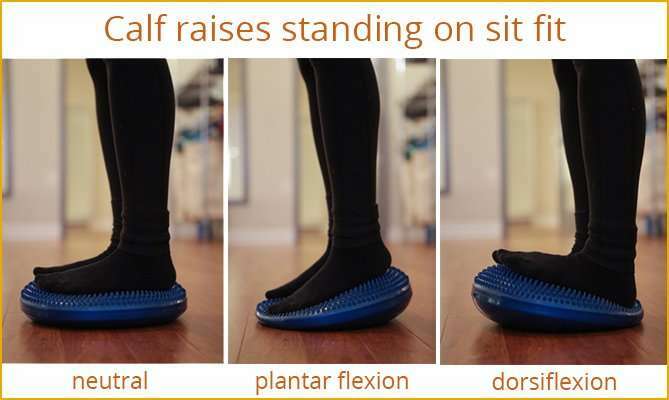 A basic balance, squat, lunge or one leg balance are great ways to add variety to the sit fit cushion. If these are easy and you want more challenge, try adding some spinal movements (like an ab curl, mini back bend, twist or side bend) to any of these variations. If you have any other exercises or variations you like to use the sit fit for, please list them below. These exercises would be more beneficial for sure using the sit fit cushion. Any ideas where I could buy one? Thank you. The sit fit is awesome! We have them available at both BODY HARMONICS Studio locations in Toronto. They’re 15% off this month. You could also search around google to see what’s available online. That sounds tough. Definitely going to try that! Thanks for the idea.